1500 OCEAN $$$$ The Hotel del Coronado’s signature beachfront restaurant features stunning ocean views and spectacular indoor and outdoor dining settings with a farm-to-table culinary approach. Chef de Cuisine Robert Hohmann combines Southland coastal ingredients with the contemporary Mediterranean flavors of Italy, France and Morocco. Albertsons Service Deli $ Inside Albertsons Market, freshly-made sandwiches, soups, and a host of salads, cheese and meats from the deli case. Alexander’s Pizza $ Eat-in, take-out or have delivered your choice of 11 specialty pizzas (or build your own) from this locally owned and managed pizza parlor. Also choose from subs, calzones, chicken wings, salads, garlic paws, garlic bread. Beer served on premises only; Happy hours specials from 3 – 6 p.m. and 8 p.m. to close. . Indoor/outdoor dining. Avenue Subs $ Choose from hot and cold submarine sandwiches, available in 6-inch and 12-inch sizes. Also non-dairy smoothies, breakfast sandwiches, soup and salad. Babcock & Story Bar $$ Named after the Del’s visionary founders, Elisha Babcock and H.L. Story, B&S Bar offers signature margaritas, blended tropical drinks, California premier wines, espressos, light fare and seasonal entertainment with a spectacular seaside setting. Includes al fresco dining. Babcock & Story Bakery $$ Serves gourmet coffee, tea, pizza by the slice, pre-made sandwiches and freshly baked breads and pastries. Lower level of the Hotel del, opposite Babcock & Story Bar. Bistro d’Asia $$ Specializing in Asian fusion cuisine and sushi from the sushi bar. Choose from wok’ed, steamed, grilled and noodle’d menus including several vegetarian dishes and dishes served “sizzling” tableside. Full bar in the “Lizard Lounge with daily happy hour, 3 – 6 p.m. Indoor/outdoor dining. Boney’s Bayside Market Deli $ Unique selection of handmade sandwiches, soups, salads and smoothies. Boney’s Deli is popular with the navy crowd who make a beeline for the deli from their posts just up the street (you can tell from all the uniforms around the lunch hour). Grab a sandwich and pair it with fruit from the produce counter. An early bird window for coffee and sweets opens at 6 a.m. daily. Brigantine Seafood $$$ “The Brig” is as popular today as when it first opened in 1973. Famous for its swordfish, fish tacos and extensive offerings of fresh seafood daily, the Brig also offers steaks, salads, a “small plates” menu, and an oyster bar. Happy hour every day but Saturday, 3 – 6 p.m. (Mondays, 3 – 10 p.m.) Sunday brunch. Bruegger’s Bagels $ Bruegger’s authentic New York-style, water-boiled bagels are baked fresh and served hot. The bagels come in a variety of 17 different base flavors and in seasonal varieties. Also hearty signature soups, salads, sandwiches, wraps, paninis. Inside or outdoor tables. . Indoor/outdoor dining. Burger King $ Home of the “Whopper,” Burger King offers a host of flame-broiled hamburgers prepared to order, along with real ice cream milkshakes, Seattle’s Best coffee, and low-calorie and vegetarian options. Inside or outdoor tables. Burger Lounge $ This health-focused, fast-casual eatery offers its original organic “grass fed” burger, along with a vegetarian quinoa option, fries that are made in-house and fried twice, Belgian-style, onion rings, malts, and a standout organic quinoa salad. . Indoor/outdoor dining. Café 1134 $$ Café 1134 offers a full breakfast and bistro menu plus pastries, full espresso bar, wine and beer. Indoor/outdoor dining includes streetside seating, a “hidden” back patio and mezzanine level. Happy hour, Monday – Friday, 4 – 7 p.m. and all day Thursday; half price beer on Tuesday. Kids’ Menu. Free Wi-Fi. 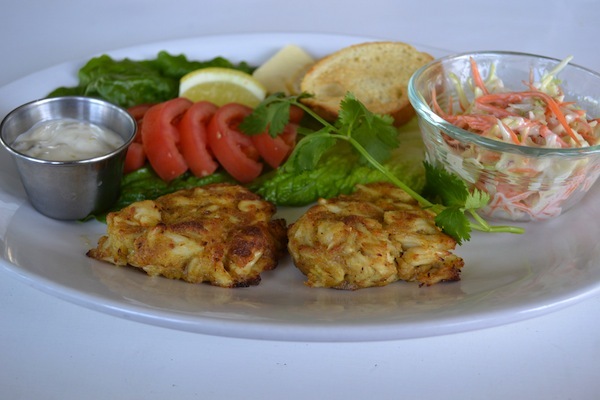 Calypso Café $$ A delightful restaurant within the residential community of Coronado Cays – Calypso Café serves up hearty breakfasts with American and Mexican favorites. Lunch includes a variety of club and café sandwiches, burgers, wraps and salads. Dinners are served Tuesday – Saturday with rotating entrees. Military discount; kids’ menus; deli items sold by the pound. Candelas on the Bay $$$ Candelas offers a unique and versatile dining experience, providing the best in “Mexico City” style cuisine, with an emphasis on Nouvelle-French cooking techniques. Panoramic views of the Downtown San Diego skyline. Happy Hour offers half-price drinks (at the bar) and half priced appetizers. Sunday brunch. Free Wi-Fi. $$ Beyond Loews Coronado Bay Resort’s signature grand staircase, a vibrant new bar offers breathtaking views of Coronado Bay and the San Diego skyline along with signature craft cocktails and local craft beers. A media wall with nine LCD flat-screen televisions broadcasts sporting events, while communal-style bar tables create a casual and comfortable retreat. Outside on the Bay Terrace, oversized teak sofas beckon guests to cozy up to stylish fire pits for a warm glow in the evening hours. Central Liquor and Deli $ Huge deli sandwiches come with a pickle and are very well priced. Example: the Californian – turkey, bacon, avocado, sprouts and cheese – is $5.99. Seating inside, but most people grab and go; better to beat it on down to Centennial Park and watch the boats glide by. Chez Loma $$$ Chez Loma features French-inspired dishes including its renowned boeuf bourguignon in an 1890s-era Victorian home. Recently remodeled and under new ownership, Chez Loma has added a lunch menu on Fridays, Saturdays and Sunday. An early dinner (5 – 6 p.m.) three-course prix-fix menu offers a choice of three entrees, Tuesday – Friday. Happy Hour is 5 – 6:30 p.m. daily. Closed Monday. Clayton’s Coffee Shop $$ A true original! Clayton’s features a classic wrap-around lunch bar and red-vinyl booths and jukebox that are original to the design of this corner restaurant established in the 1930s. Locals love the classic diner food (hamburgers, malts and fries) plus Mary’s home-cooked biscuits and gravy, meatloaf, apple and cherry pies. A fresh turkey is baked every day. Military discounts include 5-cent coffee on Wednesdays. Clayton’s Mexican Take-out $ Under the blue awning, you’ll find tasty and well priced Mexican fare – tacos, enchiladas, chimichangas, burritos, tortas, tostadas, rice, beans and flan for dessert – with daily specials always posted on the blackboard. Cold Stone Creamery $ Take high quality ice cream and ask for your favorite mix-ins to be folding in with two spades on a frozen granite stone. Also, ice cream cakes, ice cream cupcakes and ice cream sandwiches, sundaes, sorbets, frozen yogurt and smoothies. Coronado Boathouse 1887 $$$ The picturesque boathouse, designed by the Reid Brothers who built the Hotel del Coronado a year later, is famous for steak, seafood (including lobster and scallops) and its gourmet cheeseburger. Happy hours are Sunday – Friday, 5 – 6:30 p.m. and all night on Thursdays (when there’s live music.) Open daily at 5 p.m. Indoor/outdoor dining. Coronado Brewing Company $$ Back in 1996 brothers Rick and Ron Chapman got together and decided to celebrate their island roots by developing Coronado’s premier brewery and brewpub, which has been crafting some of the best beer in California ever since. CBC offers American cuisine and pub fare in a casual setting. Eight CBC beers on tap daily. Happy hour. Indoor/outdoor dining. Coronado Firehouse Bar & Grill $$ On the site of Coronado’s first firehouse, Coronado Firehouse offers a hot mix of food, drinks, wide-screen TV monitors for catching sports events and live entertainment. Specializing in barbequed dishes. Breakfast, Saturday and Sunday. Happy hour, Monday – Friday, 3 – 6 p.m. includes half-priced appetizers. Kids’ menu. Indoor/outdoor dining. 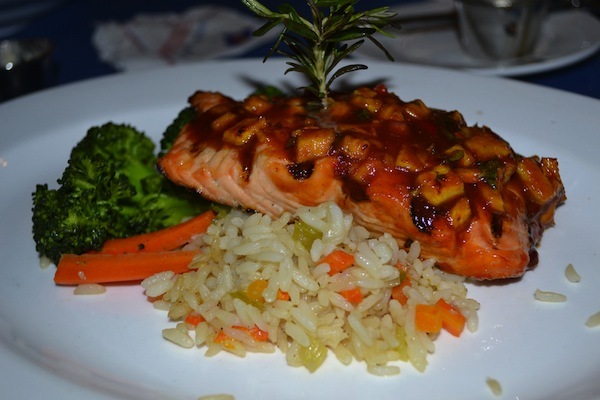 Costa Azul Grill & Rotisserie $$Mexican entrees lead the way… but here you’ll also find a tempting array of shrimp offerings plus salads, barbecued chicken and ribs…made all the more enjoyable with a cool margarita. Full bar. Indoor dining and outdoor patio, where there’s summer entertainment and a homemade tortilla bar. 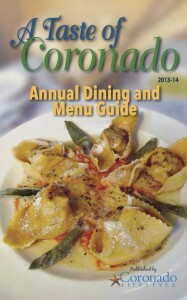 Crown Bistro $$ Chef/owner Jerry Tovar prepares some of the best comfort food on the island from morning to night. At dinner, try veal piccata or Marsala, chicken Florentine or a center cut pork chop. Ask about Bistro signature entrée specials served on different nights of the week. Sunday breakfast served till 2 p.m. Indoor/outdoor dining. Crown Room Sunday Brunch $$$$ The Hotel del Coronado’s Sunday brunch is legendary. Executive Chef John Shelton is pleased to offer seven distinct dining stations that create a progressive experience featuring seasonal chef’s compositions and fresh local ingredients. Brunch served 9:30 a.m. – 1:30 p.m. Reservations are required at least one day in advance. Current $$ Current, at Coronado Island Marriott Resort, specializes in California coastal cuisine, and fresh, organic, farm-raised menu items. Current’s inside dining room is lovely, but do take advantage of one of the most fabulous outdoor venues in all of Coronado, with views of San Diego Bay and Downtown San Diego. Danny’s Palm Bar & Grill $ Home of the “Slam” burger, Danny’s has been a Coronado institution for more than 100 years. 10 beers always on tap, full bar, flat-screen TVs, and a jukebox. Popular with Navy SEALs, the bar has a touching tribute to SEALS lost since 9/11. Delux Dogs $ You’ll delight in handcrafted gourmet hot dogs, corn dogs and chili dogs and the more adventurous will want to try Thai dogs and “The Tokyo” dog. Also burgers, sausages chopped salads, and a frothy vanilla-orange “Orange Avenue Whip.” Micro-brews and premium wines by the glass. . Indoor/outdoor dining. Domino’s Pizza $ A full menu of pizzas including four types of pizza crust (thin, hand-tossed, deep dish and Brooklyn style), plus bread bowl pastas, oven-baked sandwiches, stuffed cheesy bread, breadsticks, chicken wings, chocolate lava cake and CinnaStix. Take-out and delivery. Encore! Café $$ Encore! Café, the café at Lamb’s Players Theatre, is open before and during intermission of all Lambs productions. The café serves soups, sandwiches, cheese plates and desserts, wine and beer. Eno Wine Bar $$ What could be better than savoring three of the world’s most favorite indulgences – wine, cheese and chocolate – at a wine bar at the world-renowned Hotel del Coronado? “Tasting Tuesdays” feature samplings of 10 wines for $12. 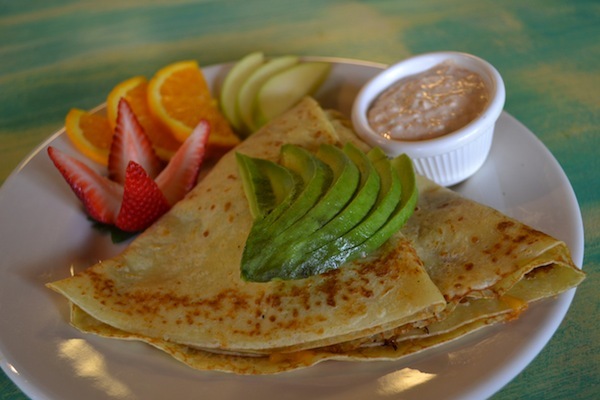 Fabrison’s French Creperie Café $$ Choose from breakfast crepes, sweet crepes and savory crepes and three choices of vegetarian crepes. You can also “build your own” crepe. Plus salads, quiche, lunch sandwiches on ciabatta bread or French baguette, soups, patisserie desserts. Dine in or under the shade trees. The Fish Company $$ The Fish Company offers a host of seafood plates and sandwiches plus a full sushi bar with hand rolls, special rolls and sashimi. Indoor dining, a lovely indoor patio plus additional sidewalk seating. Il Forniao $$$ In the tradition of Italy’s trattorias, the sights, sounds and aromas of authentic Italian cuisine are recreated fresh every day at Il Fornaio and its “Festa Regionale” takes diners on a culinary expedition through the diverse regions of Italy. Each month, one of the chefs, often a native of a featured region, crafts a menu spotlighting authentic Italian food and wine typically found in that region. Indoor/outdoor dining overlooking San Diego Bay. Island Pasta $$ Here pasta is made from scratch daily, with a choice of homemade sauces (meat, marinara, Alfredo, olio, pesto). Also popular are the rigatoni bake, lobster ravioli, cannelloni, homemade meatball and sausage sub sandwiches, salads and pizzas. Indoor/outdoor dining. Kids’ menu. KFC/Taco Bell $ You want fried chicken; the kids are screaming for burritos. Problem solved at this combo fast-food. Eat in or take out. La Salsa $ A “Fresh-Mex” favorite, La Salsa takes time-honored traditional recipes from all over Mexico and updates them; diners can accent their dishes with the restaurant’s amazing salsa bar. Tacos, burritos, salads, taquitos and quesadillas are prepared fresh before your eyes. Menu items include Mexico City tacos, Baja grilled fish tacos, overstuffed grilled burritos, stuffed fajita quesadilla, chipotle shrimp salad and chili-lime salad. Indoor dining/outdoor patio. La Terrazza Ristorante $$$ Enjoy expertly prepared Italian classics, as well as steak and seafood at this rooftop restaurant, with views of the Hotel del Coronado, Coronado cityscape and Pacific Ocean. Menu items range from personal pan pizzas and baked lasagna al forne to veal Parmigiano and medallions of filet mignon. Full bar. Indoor/outdoor dining. Leroy’s Kitchen + Lounge $$$ Leroy’s specializes in eclectic cuisine that provides diverse flavors year-round. Executive Chef Gregory Chaves partners with local farmers, brewers and manufacturers to create a true farm-to-table dining experience. Menus change seasonally. Full bar. Indoor/sidewalk seating. Brunch, Saturdays and Sundays. Lil’ Piggies Bar-B-Q $$ Here you’ll find Memphis style barbecue where the emphasis is on pork (beef and chicken available too) with long-and-slow cooking, plus all the “fixings” – slaw, corn fritters, tangy sauce and beans, which are made fresh daily and smoked. Kids’ menu. Patio dining. Market Café $$ Loews Coronado Bay Resort’s Market Café overlooks its waterfront marina setting with a menu showcasing the culinary variety of Southern California. For quick bites, “Market to Go” is a full service coffee bar featuring Starbucks coffee, pastries, sandwiches, salads, ice cream, beer and wine. Free Wi-Fi. Indoor/outdoor dining. McP’s Irish Pub & Grill $$ The “home of the SEALs” (and owned by a former SEAL), McP’s is filled with great food (Irish and American) and action, whether it’s live entertainment Tuesday – Saturday, sports on 8 flat screen TVs and camaraderie on the “Paddy-O”, its large tree-shaded (and dog friendly) patio. Full bar. Happy Hour, Monday – Friday, 4 -6 p.m. Late night dining. Miguel’s Cocina $$ No need to travel to Mexico or Old Town … you can experience the lively flavors of Mexico in the courtyard of the historic El Cordova hotel. Colorful plates are served “hot!” and fast. Don’t forget to request the white jalepeno sauce with your chips! Full bar; memorable margaritas. Indoor/outdoor dining. Miguelito’s $$ Celebrating the marriage of art and cuisine, Miguelito’s, Sala de Artes y Comer, is a one-of-a-kind neighborhood café, offerings Mexican cuisine (it’s the little sister of Miguel’s, next door) and gifts influenced by the many cultures of Mexico. Full bar; Happy Hour, Monday – Friday, 3 – 5 p.m. Indoor/outdoor dining. 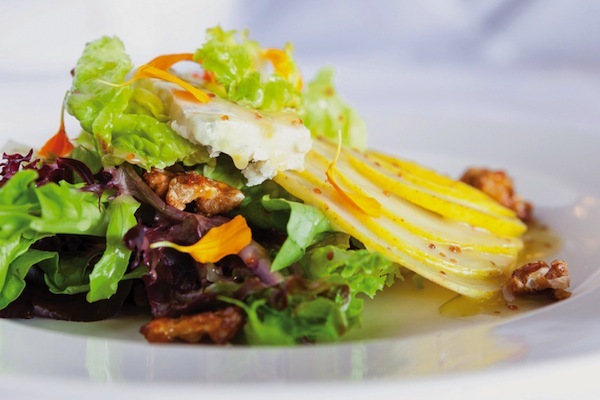 Mistral $$$ Loews Coronado Bay Resort’s Mistral takes French cuisine to new heights. Award-winning Chef de Cuisine Patrick Ponsaty takes guests on a delicious journey along the Mediterranean Coast. Robust, intense flavors are prepared with brilliant and innovative techniques. Full bar. Enjoy sunset views over the Pacific and sweeping visits of the Coronado Bridge and San Diego skyline. Mootime Creamery $ First, select your base – ice cream, yogurt, sorbet or sherbert; then choose your mix-ins (fruits, nuts, candies, cookies) and watch as staff smoosh, squish, crush and crunch it on its frozen granite counter top. Pack it into a freshly pressed waffle cone and away you go! Street side tables. Nado Gelato $ This is authentic artisan gelato at its best! Each flavor has its own unique recipe and is made in small quantities to ensure freshness. Nado Gelato’s pistachios and hazelnuts come from Italy (so does owner David Arato). Also artisan chocolates and fresh coffee daily. Indoor/outdoor dining. 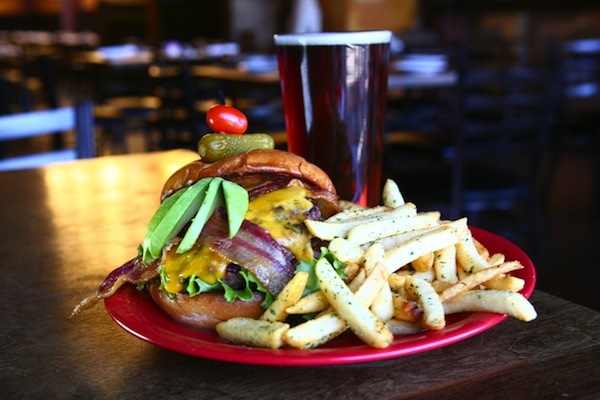 Nicky Rottens Bar & Burger Joint $$ Full service restaurant and bar features classic and specialty burgers, sandwiches and wide variety of salads. Great sweet potato fries. Large flat-screen TVs. Happy Hour. Patrons must be 21 to dine inside but plenty of street side seating for the younger set. Night & Day Café $$ Authentic Mexican cuisine is a recent addition at this Coronado mainstay that dates back to 1927. Breakfast served 24 hours a day (Fridays and Saturdays the restaurant is open 24 hours; closes at 2 a.m. Wednesday, Thursday, earlier on other days. Best place to get a burger (the only place?) at 2 a.m. Free Wi-Fi. Indoor/outdoor dining. Panera Bread $$ Sandwiches on freshly baked bread, salads, soups and choices of half and half make this a lunchtime favorite. Fresh bagels and pastries daily; signature egg soufflés dishes. Indoor/outdoor dining. Free Wi-Fi. Park Place Liquor & Deli $ Famous for sandwiches with generous portions of meat, with standouts including the Reuben, and El Diablo Spicy Chicken. Public patio dining across street at Rotary Park. Peohe’s $$$ Aloha .. and welcome to Coronado Island’s tropical getaway! Nestled on the water’s edge, the restaurant features tiered seating, an intimate enclosed patio and dockside patio dining. Specializing in tropical seafood dishes influenced by Pacific Rim flavors. Peohe’s popular sushi bar is noted for innovative roles and new wave creations. Full bar; happy hour. Primavera Ristorante $$$$ Located in an intimate setting in the heart of Coronado, Primavera offers a unique blend of Northern Italian cuisine. Chef Pepe Vega has been preparing exquisite meals for nearly 20 years and has achieved world-renowned success with his signature dish, Osso Buco. Upstairs private room with private patio. Full bar; Happy hour. Rhinoceros Café & Grill $$ Charming bistro on Orange Avenue famous for its pasta dishes, including signature dish, Penne a la Vodka, with a vodka-tomato cream sauce with fresh sautéed mushrooms. Beer/wine; indoor/outdoor dining. Saiko Sushi $$ Specializing in nigiri sushi, sashimi, maki and an exceptional selection of house rolls. Owners (and sushi chefs) Anthony Pascale and Evan Bennett are committed to outsourcing sustainable fish and fresh local produce. Micro-brewed sake, beer, wine. Indoor/outdoor dining. Sapori $$$ Home-style cooking by chef owners Laura and Raphael Petrazzuolo who hail from Australia and Naples, Italy. Check the chalkboard at this little Italian-style bistro for daily specials (and info on Laura’s cooking classes). 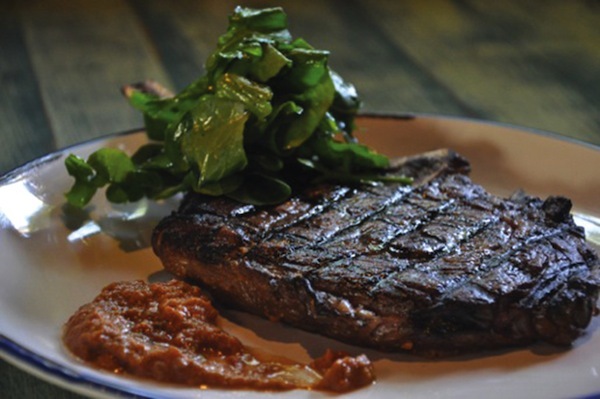 Noted for its antipasto, risotto, beef carpaccio, and small plate options. Beer/wine. Indoor/outdoor dining. Sheerwater $$$ Featuring an expansive outdoor dining terrace and giant fireplaces, Sheerwater is the Hotel del Coronado’s refined, yet casual oceanfront restaurant. Its “Fish by the Sea” menu features classic bistro-style cuisine with a focus on fresh and sustainable seafood. The menu also features a variety of meat and vegetarian options. Kids’ menu. Spiro’s Gyros $$ Thank you to Coronado’s Spiro and Nancy Chaconas for bringing the authentic foods of Spiro’s homeland – Greece – to Coronado. The extensive menu (known for generous portions throughout!) includes seafood platters, awesome lamb shanks, salads and, of course, gyros. Kids menu. Indoor patio or dine under the trees with fabulous views of San Diego Bay. Starbucks $ All the hot, cold and frozen coffee drinks we’ve come to know through the company that introduced the word “barista” to America. Pastry case; deli case holds sandwiches and light lunch fare. Free Wi-Fi. Indoor-outdoor dining. Sun Deck Bar & Grill $$ Offering front row seats to Pacific sunsets, the Hotel del’s Sun Deck Bar & Grill offers cocktails and grilled favorites with magnificent views of the Pacific and seasonal live entertainment. Outdoor dining under large umbrellas. Subway $ There are more Subway restaurants than any other restaurant in the world. If you’re military, you’ll find them on our navy bases, but for the rest of us, head to Coronado Plaza’s north side for foot-long (and six-inch) subs with low-cal options that helped Jared (remember him?) lose 200 pounds and keep it off for 15 years. Swaddee Thai $$ When Tasna Podsuwaan married her military hubby and moved to Coronado two decades ago, she brought all her native dishes with her. 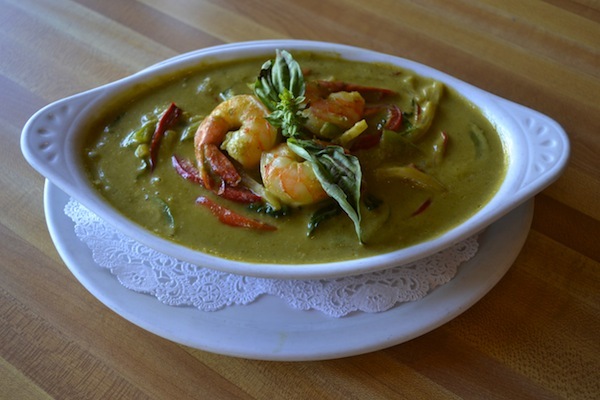 Swaddee Thai is, hands down, the best Thai food in Southern California and lucky for us, it’s right here in Coronado. Many dishes made with choice of pork, chicken, vegetarian. Beer/wine. Indoor/outdoor dining. Tartine $$ A European-style bistro, Tartine makes all its pastries inhouse, under the expert eye of French-trained pastry chef/partner Barbara Massey. But bistro food extends to excellent paninis, salads and an exciting dinner menu that changes with the season. Beer/wine; happy hour. Indoor/outdoor dining. Tent City Restaurant $$ California eclectic cuisine includes salads, grilled seafood, chicken and steaks nightly (prepared on the outdoor grill) and decadent desserts. Excellent chicken pot pie. Beer/wine. Indoor/outdoor dining. The Tavern $$ The tavern serves “comfort tavern” fare including sandwiches, burgers, meatloaf, fish, steaks, salads and “shares” – including a scrumptious mac ‘n cheese with applewood smoked Gruyere and Parmesan cheeses. Happy hour, Sunday – Thursday, 3 – 6 p.m. and 10 p.m. till close Late night menu. Indoor/outdoor dining. Tides Bar & Bistro $ Coronado Island Marriott’s lobby bar, Tides features a casual atmosphere that help guests get their coffee fix with freshly brewed Starbucks coffee by day and in the evening offers a wide selection of signature cocktails, beer and wine along with light appetizers and snacks. Vigilucci’s $$$ Owner Roberto Vigilucci prides himself on unparalleled Italian home cooking reminiscent of his childhood in Milano, Italy where families are raised in kitchens and food is a centerpiece of the culture. Menu highlights including pasta dishes, savory veal, chicken, prime steak and seafood paired with award-winning wine lists. Indoor/outdoor dining. 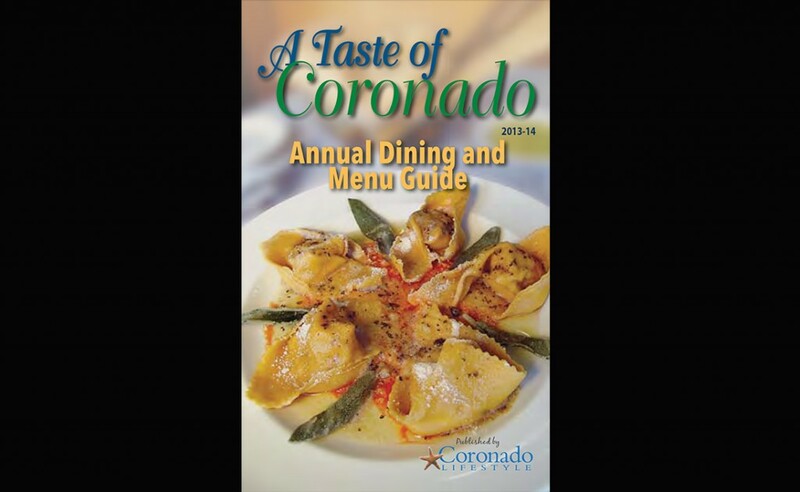 Coronado Cays Yacht Club $$$ (Membership only) CCYC’s inhouse chef prepares dinner on Mondays, Wednesdays and Fridays with popular rotating entrees including cilantro serano roasted chicken, eggplant Parmesan, filet mignon or the “Commodore’s Choice” rib eye steak. Sunday Brunch. Light fare served in the Burgee Bar. Indoor/outdoor dining. 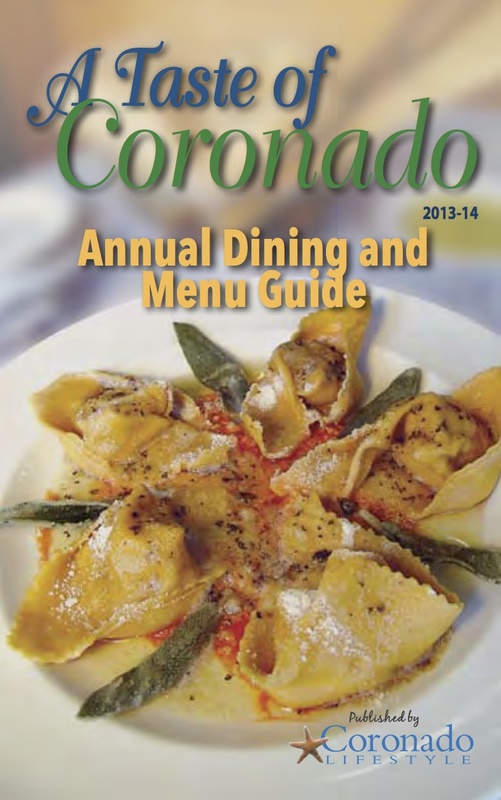 Coronado Yacht Club $$$ (Membership only) CYC’s inhouse chef prepares dinners on Wednesdays and Fridays with rotating entrees that might include lamb shank, apricot stuffed pork loin, Atlantic salmon, and shrimp and past a la Puttanesca. Brunch, followed by light bar food service on Saturdays and Sunday. Indoor dining or outdoor patio overlooking the yacht club marina. Villa Nueva Bakery Café $ Pastries lead the way at Villa Nueva; the restaurant took over the space housed by Anderson’s Bakery, established more than 100 years ago. Along with omelets and waffles, Mexican specialties have been added to the menu. Street tacos served on the patio on Fridays during the summer. Indoor/outdoor dining. Village Pizzeria/ Village Pizzeria Bayside $$ One part pizza parlor, another part, full Italian restaurant offering a full array of pasta dishes (ravioli, spaghetti marinara, chicken Parmigiana and more). Hand-tossed pizza, huge sandwiches, mighty salads, and sinful desserts Indoor/Outdoor dining on Orange; huge patio dining overlooking San Diego Bay at the Ferry Landing. Free delivery. Weincakes $ This new “dessert bistro” features decadent cupcakes and a full array of cakes, pies and memorable pastries. That’s reason enough to visit Weincakes, but stop in for homemade soups, quiche and delicious salads, too. Catering and onsite children’s birthday parties. Indoor/outdoor dining. Which Wich $ Pick your (sand)Wich and get a bag; “work it” by checking off your choice of fresh ingredients; Which Wich staff will fill your order. Indoor/outdoor seating. WineStyles $ Enjoy wine tasting every Thursday, Friday and Saturday evening; sample seven premium wines while enjoying live music. Wine by the glass and craft beer flights every day at the wine bar or on the patio. Yogurt Escape $ Enjoy eight soft serve yogurt varieties including non-fat, low fat, no-sugar and non-dairy yogurts daily. Choose from more than 50 toppings, including fresh-cut seasonal fresh fruit, and premium dry and syrup toppings. Customers serve themselves and pay by the ounce. Yummy Sushi $$ The biggest sushi bar in Coronado serves up sushi, sashimi, and some of the best rolls around, like the lobster beach roll, with large chunks of lobster, tempura, chicken/beef teriyaki dishes and Bento Box lunch specials. Beer/wine/sake. If the weather’s nice, grab a seat on the patio overlooking the Pacific.